Sabry M. El-Bahr, Nabil M. Taha, Mahdy A. Korshom, Abd EL-Wahab A. Mandour, Mohamed A. Lebda. The objective of the present study was to investigate the effect of Turmeric (Curcuma Longa) and Black cumin seed (Nigella Sativa) mixture on selected biochemical parameters of streptozotocin (STZ) induced diabetic rats. Therefore, twenty one healthy adult albino rats divided into three groups (7 rats in each). Rats of first and second groups were non diabetic and diabetic respectively. Rats of the third group were diabetic and received a mixture of Turmeric (0.5 g/kg b .wt.) and Black cumin seed (1 g/kg b.wt.). All treatments were orally administered by intragastric intubations once a day for six weeks. The changes in blood glucose level, body weight and water and food intake were measured. In addition, selected biochemical parameters were also determined. The present study revealed that, dietary supplementation of plant mixture of Turmeric and Black cumin seed to diabetic rats significantly (P<0.05) reduced the blood glucose level as well as water and food intake accompanied by an increase in body weight gain when compared with untreated diabetic rats. Proteins were not affected whereas liver and kidney functions were disrupted in STZ-diabetic rats and restored whenever treated by medicinal plants mixture. Hypercholesterolemia and hyperlipidemia observed in STZ-diabetic rats were attenuated by administration of examined medicinal plants combination. Conclusively, dietary supplementation of Turmeric and Black cumin seed mixture reduced blood glucose level and ameliorated the hypercholesterolemia and hyperlipidemia in STZ induced diabetic rats. Abubakar, G., Danladi, A.A., Sunday, E.A., Sani, I. 2009. Antidiabetic Effect of Nauclea latifolia Leaf Ethanolic Extract in Streptozotocin-induced Diabetic Rats. Phcog Res. 1: 392-395. Aggarwal, B.B., Kumar, A., Aggarwal, M.S., Shishodia, S. 2005. Curcumin derived from turmeric (Curcuma longa): a spice for all seasons. In: Preuss, H. G. editor, Phytopharmaceuticals in Cancer Chemoprevention. CRC, USA. 349-387. Ahmadi, F. 2010. Effect of turmeric (Curcumin Longa) powder on performance, oxidative stress state and some of blood parameters in broiler fed on diets containing aflatoxin B1. Global Vet. 5: 312-317. Bamosa, A.O., Ali, B.A., Sowayan, S.A. 1997. Effect of oral ingestion of Nigella sativa seeds on some blood parameters. Saudi Pharm. J. 5: 126-129. Bauer, J.D. 1982. Clinical laboratory methods 9th edition. The C.V. Company II 1830, Westline industrial, Missouri. Chou, YH. 1975. Experimental design and the analysis of variance, Statistical Analysis-I. New York, Holt, Reinhart and Winston Publication. 340-352. El-Bagir, N.M., Farah, I.T.O, Alhaidary, A., Mohamed, H.E., Beynen, A.C. 2010. Clinical laboratory serum values in rabbits fed diets containing black cumin seed. J. Anim. Vet. Adv. 19:2532-2536. El-Bahr, S.M., Saad, T.T. 2008. Effect of Black cumin seeds (Nigella sativa) and/or Turmeric (Curcumin) on hematological, biochemical and immunological parameters of Mugil cephalus fish vaccinated with Aeromonus hydrophila bacterin. 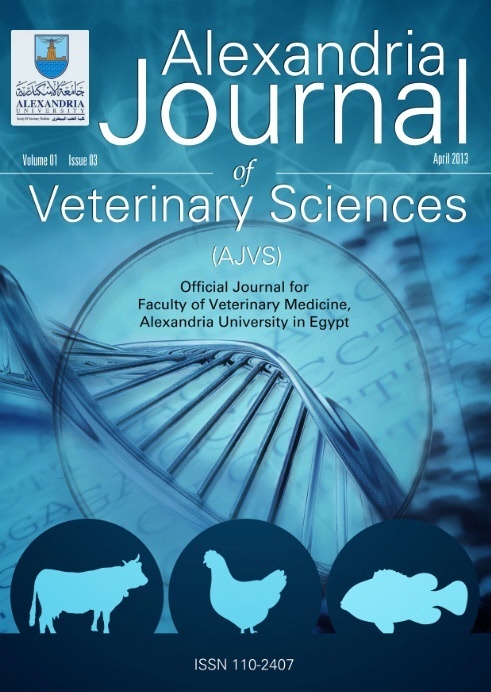 The Thirteen scientific congress, Faculty of Veterinary Medicine, Assuit University, 25-28, November. 365-388. El-Bahr, S.M. 2007. Effect of black cumin seeds (Nigella sativa) on the profile of serum lipids, lipoproteins and fatty acids in pekin ducklings. Int. J. Appl. Chem. (IJAC) 3: 221-230. El-Sayed, E.M., Abo-Salem, O.M., Aly, H.A., Mansour, A.M. 2009. Potential antidiabetic and hypolipidemic effects of propolis extract in streptozotocin-induced diabetic rats. Pak. J. Pharm. Sci. 22: 168-174. Ezat, A.M. 2005. Effect of black seed (Nigella sativa) on the immune status of catfish (Clarias gariepinus). Ph.D. (Thesis). Faculty of Veterinary Medicine, Assuit University, Egypt. Fluck, H., Schib, R.J., Rowson, J.M. 1976. Medicinal Plants and Their Uses. W. Foulsham and Co. Ltd, England. 168. Henry, J.B. 1984. Clinical Diagnosis and management, 17th edition, Saunder Publisher. Labhal, A., Settaf, A., Bennani, N., Cherrah, Y., Slaoui, A., Hassar, M. 1997. Action anti-obÃ©sitÃ© et hypocholestÃ©rolÃ©miante de Nigella sativa chez le rat des sables. CaducÃ©e. 27: 26-28. Mathur, M.L., Gaur, J., Sharma, R., Haldiya, K.R. 2011. Antidiabetic Properties of a spice Plant Nigella Sativa. J. Endocrinol. Metab. 1: 1-8. Mills, S, Bone, K. 2000. Principles and Practice of Phytotherapy. Toronto (ON): Churchill Livingstone. Reinhold, R.P. 1953. Determination of serum albumin. Clin Chem. 21: 1370-1372. Salama, A.F., El-Bahr, S.M. 2007. Effect of curcumin on cadmium-induced oxidative testicular damage in rats. J. Med. Res.h Inst. (JMRI). 28: 130-136. Shnkar, T.N.B, Shanta, N.V., Ramesh, H.P., Murthy, I.A.S, Murthy, V.S. 1980. Toxicity Studies on Turmeric (Cuecuma longa): Acute Toxicity studies in rats, Guineapigs and Monkeys. Indian J. Exp. Biol. 18: 73-75. Sidney, P.G., Bernard, R. 1973. Improved manual spectrophotometric procedure for determination of serum triglycerides. Clin. Chem. 19: 1077-1078. Tank, R., Sharma, N., Sharma, I., Dixit, V.P. 1989. Anti-diabetic activity of Curcuma longa in alloxan Induced diabetic rats. Ind. drugs. 27: 587-589. Yao, X.H., Chen, L., Nyomba, B.L.G. 2006. Adult rats prenatally exposed to ethanol have increased gluconeogenesis and impaired insulin response of hepatic gluconeogenic. Genes J. Applied. Physiol. 100: 642-648.